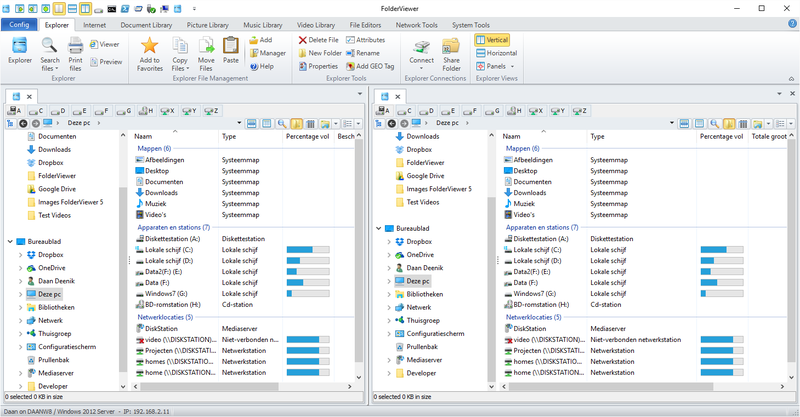 FolderViewer is a very advanced, dual panel file manager to organize your files in very efficient way. There are many tools embedded to execute different tasks in batch mode: File Rename Tool, Advanced File Copy Tool using file properties to generate target Folders, Change File Attributes, Advanced Document, Picture, Music and Video Libraries. Excellent dual panel file manager – makes Windows 10 file explorer look like a beta. I’ve only touched the surface of the FolderViewer functions, which are comprehensive, this is definately a keeper.